Performing as Rainbow Arabia, husband and wife duo Daniel and Tiffany Preston followed up some EPs with their 2011 album Boys and Diamonds. Now, two years later, they've made some changes and announced a proper full-length return. The new album is called FM Sushi, and sees the group expanding to a three-piece with the addition of Dylan Ryan, a drummer who also performs with Cursive and Icy Demons, among others. 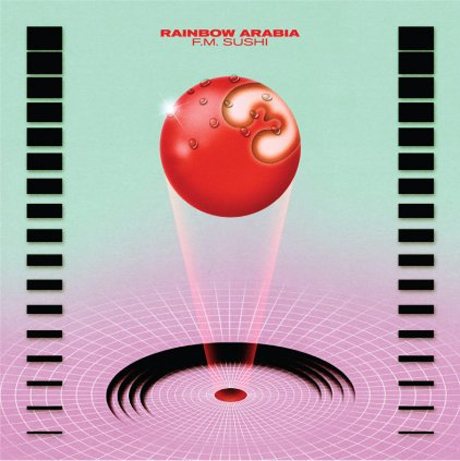 As a trio, Rainbow Arabia have put the finishing touches on the new 10-track release. The album will be released on April 15 via the Kompakt-distributed imprint Time No Place. Album opener "River's Edge" can be streamed below.